Christian Nunez scored two goals for the San Gorgonio Spartans (7-6-6 overall, 2-2 league) in the San Andreas League victory, 2-1, over the Indian Springs Coyotes (10-1-5, 1-1-2). Manuel Perez and Carlos Ortiz were each credited with an assist for the Spartans. The Spartans will play at 3:15 p.m. Wednesday against Rialto, who is in first place of the league. It will end the first round of league play. 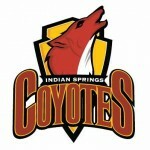 The game also resulted in the first loss of the season for the Coyotes. The Coyotes were ranked No. 6 in the first San Bernardino Sun’s Top 10 Boys Soccer rankings of the season. Indian Springs will look to bounce back in its next game, which is at 3:15 p.m. Wednesday against Jurupa Hills. Claremont defeated Rim of the World, 5-0. Redlands defeated Jurupa Valley, 4-1. Grand Terrace defeated Hoover 3-0. Jurupa Valley defeated Hoover, 5-0. Oak Hills defeated Carter, 1-0. Vista Del Lago defeated Orange Lutheran, 1-1 (4-3 PKs). Oak Hills defeated Vista Del Lago, 1-0. Carter defeated Orange Lutheran, 1-1 (4-3 PKs). Alta Loma defeated Arroyo Valley, 9-1. Alta Loma defeated Cajon, 1-0. Beaumont defeated Arroyo Valley, 4-0. Riverside King defeated Lakeside, 6-0. Riverside King defeated Rubidoux, 2-0. Redlands East Valley defeated Apple Valley, 8-0. Cathedral City defeated Indian Springs, 3-0. Cathedral City defeated Redlands East Valley, 2-0. Apple Valley defeated Indian Springs, 8-0. 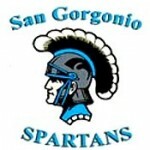 San Gorgonio defeated San Bernardino, 5-0. Yucaipa defeated San Gorgonio, 1-0. Highland defeated San Bernardino, 5-1.